I never really thought I was one of those people that got on with fancy or 'alternative' teas - I wasn't really interested unless it was an average mug of English breakfast - and I certainly didn't drink tea without milk. The horror! 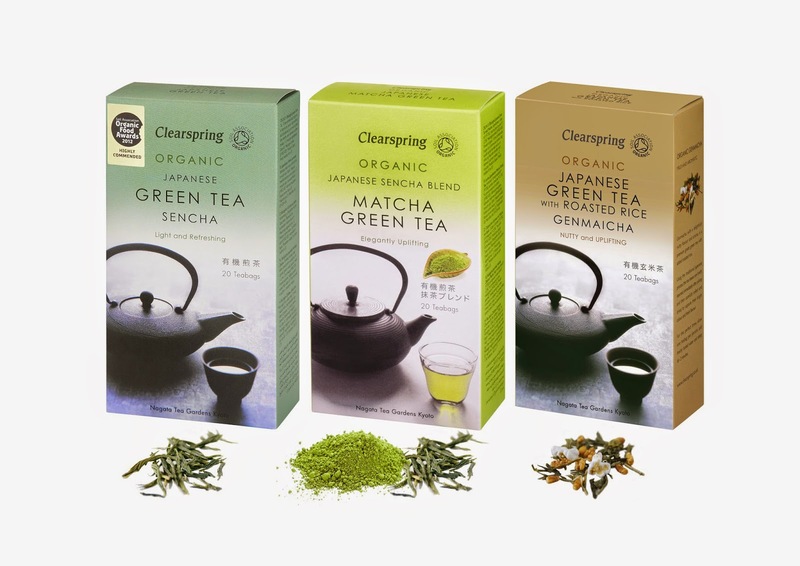 But I've been being a bit more adventurous recently - giving stuff like chamomile, jasmine and green teas a go - and when Clearspring offered to send me some green tea and matcha tea, I was very eager to give it a try. I was especially excited about matcha tea - the tea that's been so much in the press in recent years for its wonderful health benefits. If you're a matcha-newbie, then here's the basics: Matcha tea is basically green tea, but the green tea leaves are ground up to form a very concentrated powder. Its powder form means that when you add it to boiling water to make your cuppa, you'll be drinking the entire leaf, not just whatever the tea leaves infuse into the water. This is what makes matcha tea so healthy in comparison - you get allllll the goodness of the leaf. It might be a relatively recent trend in the UK, but it's been enjoyed in Japan for centuries. As well as containing a HUGE amount of antioxidants (like tons more than gojiberries and all those other antioxidant-rich foods) it also gives a steady release of energy (way better than the short bursts you get from coffee) and it can help with weight loss and healthy skin. It's also rich in things like potassium and protein - basically, it's way healthier than regular tea. So, what does it taste like? 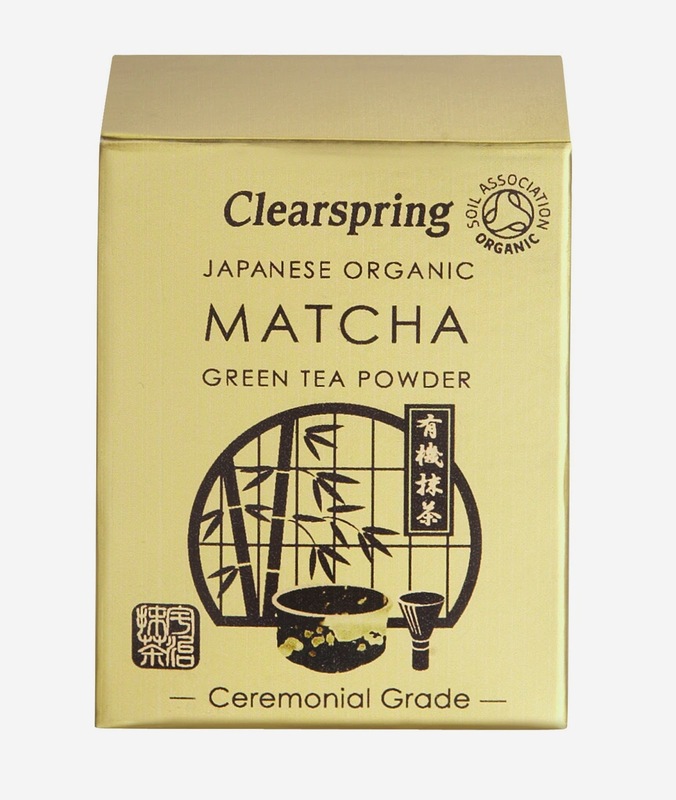 Here's my review of the matcha tea - along with the two other green teas Clearspring sent me to try. 1. Using a good quality type of green tea - such as Sencha (the type Clearspring uses) - which is made from the first or second 'flush' of tea leaves, which are exposed directly to sunlight rather than kept in the shade. It's also organic. Just like any kind of tea, coffee, or beverage in general, higher quality stuff brings nicer results, on the whole. 2. Brewing it right: once the water is boiled, leave it to cool for one minute before adding the tea bag. Then let the tea bag steep for one to two minutes - any less and it will taste of nothing, any more and it will release too many tannins and start to taste bitter. The result is a subtle, refreshing tea with delicate aromas. It's much lighter in style than any other tea I've tried, but I found it very soothing in this hot weather! Also great in our Lime and Green Tea Martini recipe! Adding rice to the tea blend sounds a bit nuts, but once I'd tried it, I understood why it works. Once I'd brewed it in exactly the same way as the green tea, I immediately could smell a stronger, more nutty, fuller aroma (kind of like popcorn kernels! ), and that followed through on the taste. It was still fresh, but slightly more fulfilling and comforting. Better for colder weather, and also made me feel fuller for longer - although I don't know if there's any real reason for that...! 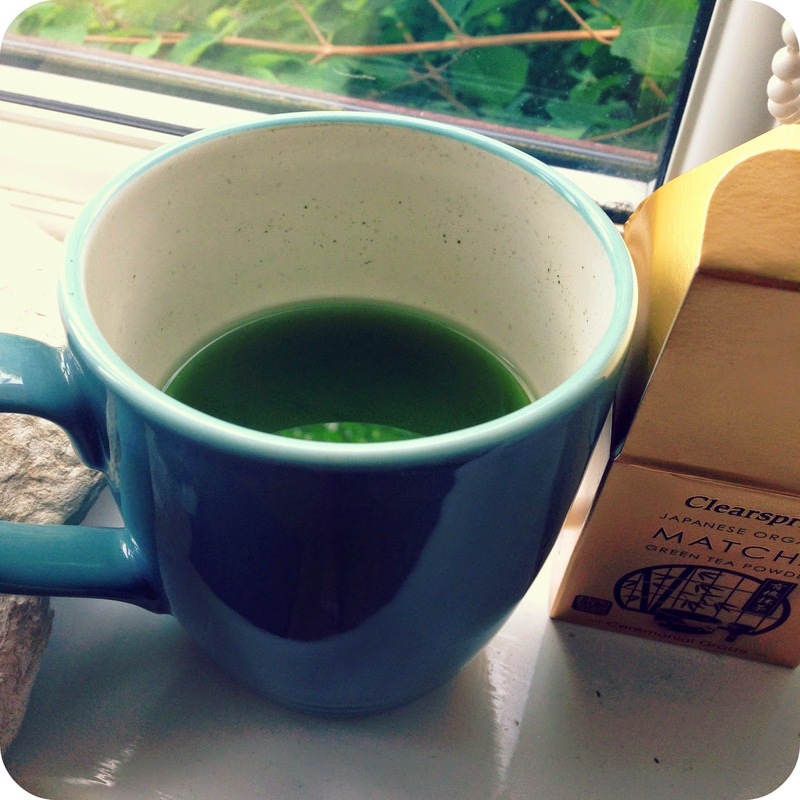 This ceremonial grade (aka 'super good') matcha tea is slightly trickier to make. Again, it's best to add the tea (a quarter of a tsp of the powder) to water that's been left to cool for a minute (or not fully boiled in the first place), but then you really do need to give it a whisk with a hand-whisk. A spoon simply won't dissolve the powder, and I found even the whisk doesn't do so fully, but the result of whisking it is a much smoother texture. If you can still see small fragments of powder in the tea, I wouldn't worry - you can't taste them or feel them when you're sipping it at all! And the taste? Again, it's light, refreshing and not in the slightest bit bitter - very pleasant for such an ominous shade of green! It really does feel healthy, and the slow-release caffeine kept me alert for much longer than a coffee normally does. All in all, I'll definitely be drinking more green tea from now on, and I was especially fond of the matcha. What's your experience with matcha tea? Tell us in the comments! And let us know what your go-to brew is - we're dying to try more!